Home > Home Improvement > Cracked Ceiling? Southern Ceiling Repairs Have Got You Covered! Cracked Ceiling? Southern Ceiling Repairs Have Got You Covered! Ceilings crack, usually we don’t even know they’re there, but when we do inadvertently glance up and spot them they can cause quite a bit of stress. How did they appear? How long have they been there for? Why did they appear? Well there are many answers to these questions. Some appear simply due to age and some appear due to the house settling in. However one thing that is certain is that when it comes to ceiling crack repair, you want to call in the experts! There is something you can do by yourself however and that’s some initial investigation work. One of the ways to determine the extent of potential damage is to examine the crack in some detail. If your ceiling has multiple cracks appearing in multiple locations or cracks that are an 1/8 of an inch wide or more, you could be looking at structural damage. On the other hand, straight cracks that appear due to poorly adhered taping joints is cosmetic and usually just a sign of poor workmanship. There are many ceiling crack repair options out there and the one which most people opt for is either DIY or call in the local handyman. However there is more to repairing cracks in ceiling plaster and to fix ceiling cracks takes experience and expertise. At Southern Ceiling Repairs, we have dealt with all manner of ceiling repair from superficial cracks caused by cracks in ceiling plaster to cracks due to storm damage or weight bearing down on ceiling joints. 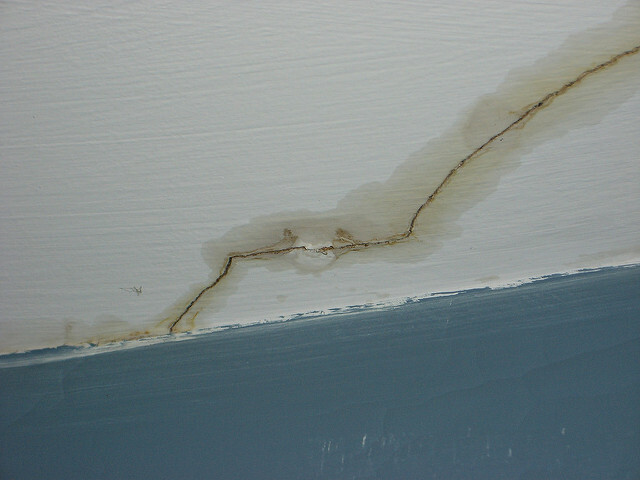 Then there’s the in-between; the thin cracks caused by poorly taped joints, the horizontal cracks between the wall and the ceiling which is usually caused by roof truss uplift and large discoloured cracks caused by moisture problems. It is the sheer number, sizes, types and causes of ceiling cracks which makes it so much harder to climb the ladder and patch the hole in the ceiling yourself. Plus one wrong move could mean you end up paying a fortune trying to rectify the problem in trying to solve the problem! You could be lucky and have a minor issue that takes nothing more than a quick fix and cosmetic touch-up. However if your ceiling repair is left too late, you may simply be delaying the inevitable. Its far better to call Southern Ceiling Repairs, than having to deal with a bigger problem later on. Professional and experienced ceiling repair companies like ours can come in, examine the ceiling, identify the cause and fix ceiling cracks safely and quickly. At Southern Ceiling Repairs we are number one in ceiling crack repair. We are experienced in repairing cracks in ceiling plasterboard and fix ceiling cracks no matter the problem or the size.